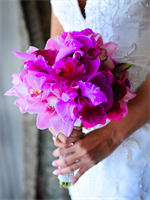 Specializing in events, we love designing the perfect floral arrangements for your wedding day. Being the most magical day in your life, every wedding is special and unique. My goal is to write a beautiful message in flowers to all of your wedding guests and loved ones!